*Weekends go entirely too fast. I don’t like it. Someone make it stop. *I have not forgotten about the Undereye Experiment, it’s just still a work in progress. I’m trying to give each product a couple of days before I yay or nay them. *I’m super tired today for some reason. Like I had a lot that I wanted to get done today and almost none of it has happened. I did file my taxes, though. So, that’s something. It’s my weekend to cook, so I’ll get up shortly and handle that….and I did put some laundry away and vacuum. Okay, so maybe I haven’t been as lazy as I thought. Still tired, though. *We are so not watching The Super Bowl before anyone asks. Neither of us are really huge football fans anyway but we’ll occasionally watch if the teams are decent. Yeah….not this year. I do love seeing the 20 million different snack ideas online and on Pinterest that come up this time of the year, though. Snacks are life and I like seeing them appreciated. *We have this Yankee Candle that I think is….broken, which I’m sure doesn’t make sense. 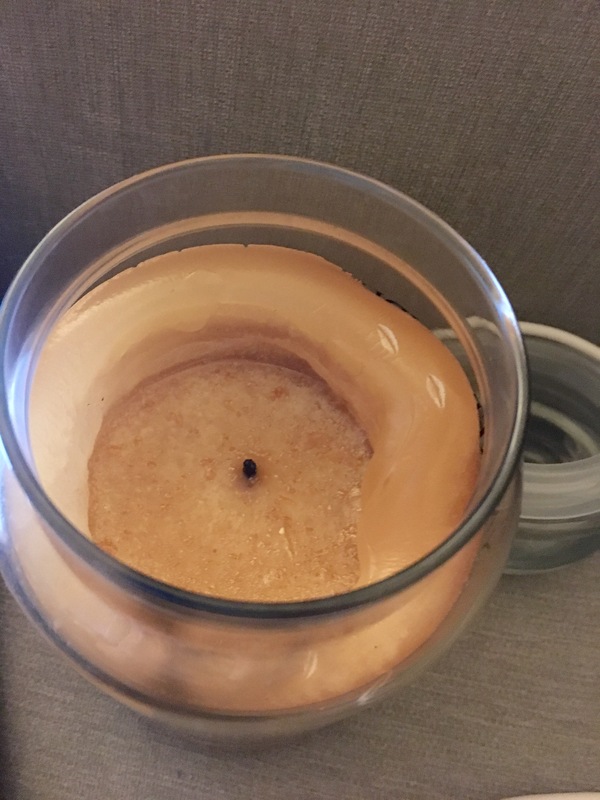 But, I love Yankee Candles because they burn pretty evenly, but this one is just burning a hole in the middle and it kind of leaving the outside to just hang out there. This is what I mean…. I’ve even taken fire to it and it barely burns. It’s broken. We would be the house to get a broken candle. A weird candle for a weird house.